1844 – Richard Theodore Greener born in Philadelphia, Pennsylvania. Greener becomes the first African American to graduate from Harvard University, receiving a degree in a bachelor’s degree in 1870. His admission to Harvard was “an experiment” by the administration and paved the way for many Black students to enter the school. 1900 – John Parker dies – Parker, an inventor and a conductor on the Underground Railroad was a noted abolitionist and was also one of the few Black to secure a patent before 1900. (To read more about John Parker, view his profile on blackinventor.com). 1956 – Home of Martin Luther King Jr. bombed. Dr. King’s house was bombed by segregationists in retaliation for the success of the Montgomery Bus Boycott. His wife Coretta and their daughter, Yolanda Denise, were not injured injured in the blast. While Dr. King was speaking at a meeting, an explosive device was planted on the front porch of his residence. The bomb exploded, and blew out the windows of the house and causing significant damage to the front porch. No one was ever prosecuted for the crime. 2015 – Wendell Scott was inducted into the NASCAR Hall of Fame on January 30, 2015. In addition to being the first Black driver inducted to the Hall of Fame, he was also the first Black driver to compete on the NASCAR Grand National Series and was also the first Black driver to win on NASCAR’s highest level. 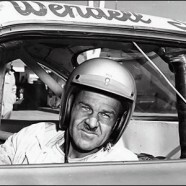 (To read more about Wendell Scott, view his profile on greatblackheroes.com).